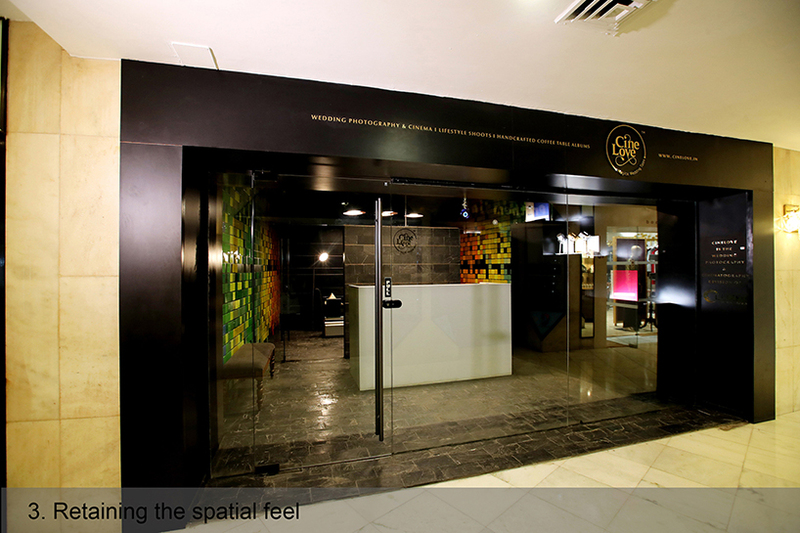 Interior Design: Pixels@Ashok, New Delhi, by Plan Loci - ArchitectureLive! 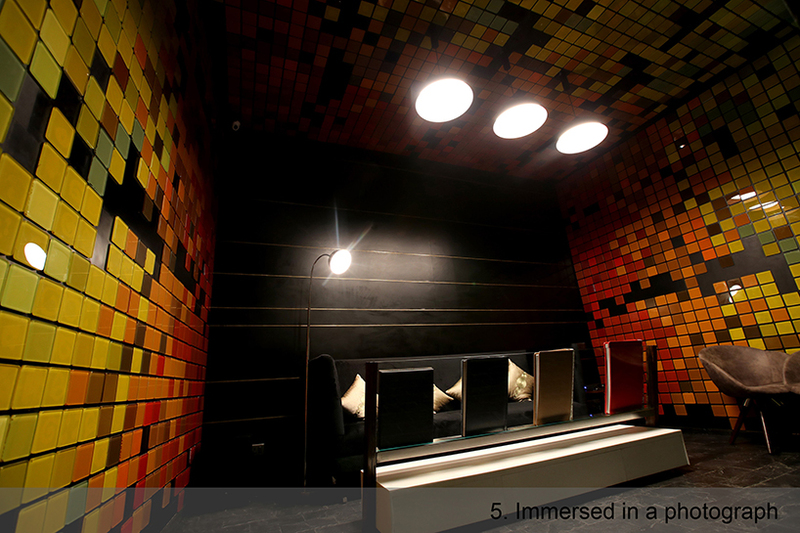 Luxmi Digital Studio approached us to create a meeting node for wedding photography clients at The Ashok Hotel. 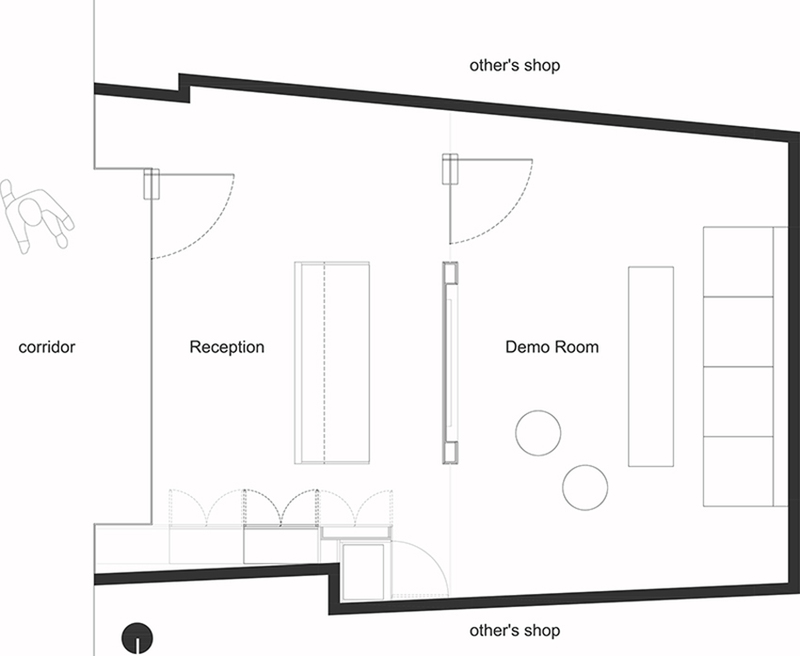 The site is a shop of 30 sqm with access from an internal curving corridor. The requirement was to have a demo room where they show their albums and videos along with a reception and pantry. Our approach was to create a world within itself as if immersed in a photograph. 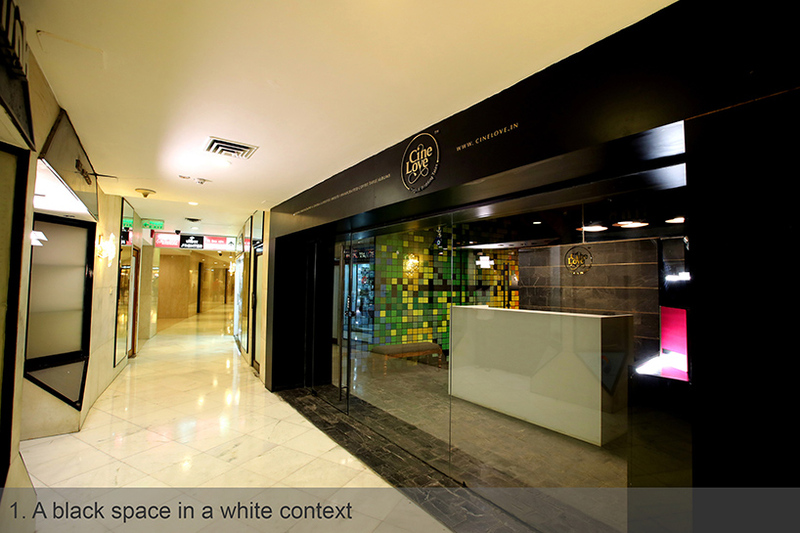 The design is conceptualized as a black space in a white context sprinkled with colourful pixels in RGB gradation. 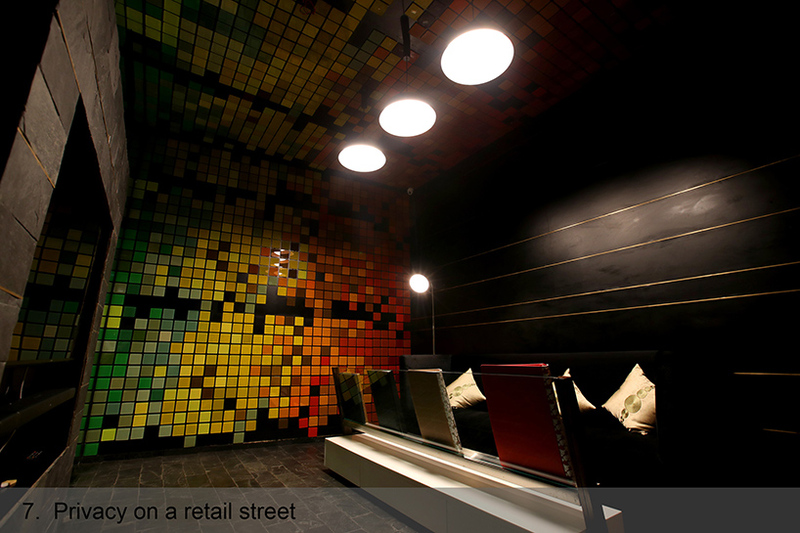 The contrast along with hanging lights creates a focused environment and provides privacy on a retail street. A linear layout with minimum solid partition integrates all the functions while retaining the spatial feel. A material palette of slate stone, brass beads and around 4000 pixels made of lacquered glass create a subtle and bold look at the same time.